… I have been painting imagery from summer. With two heaters going, my trusty hairdryer warming me as well as drying my work, the following pushed themselves onto my canvas recently: hot fields of poppies, acres of gold barley – the pattern and texture of the local fields of my new Norfolk home. No doubt I’ll get the urge to create winter images of the recent snow scenes in the sunny spring months of 2011?! 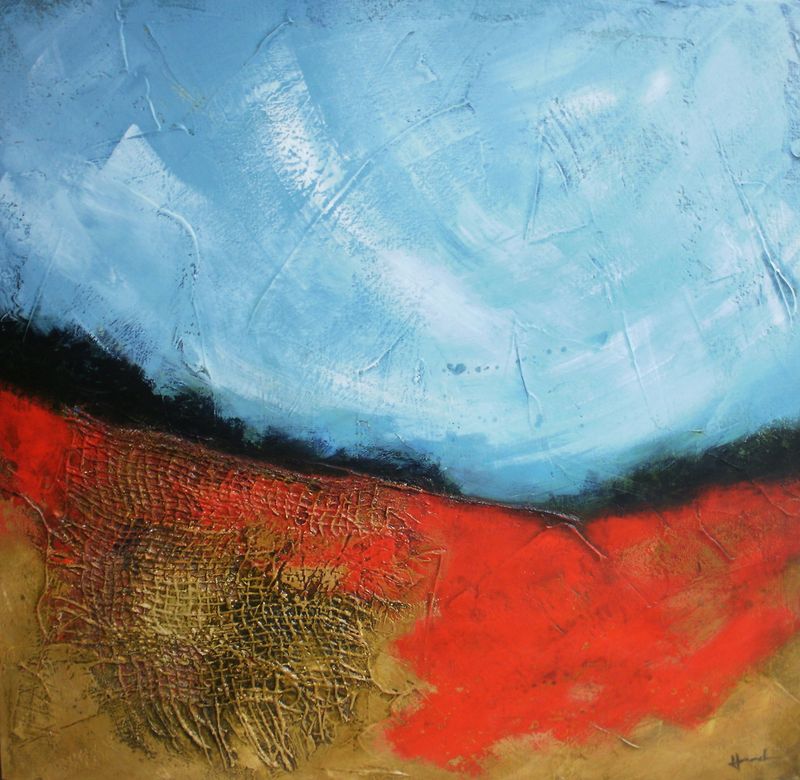 'Summer fields with poppies', © Mari French 2010, 60x60cm, acrylic/mixed-media on canvas. 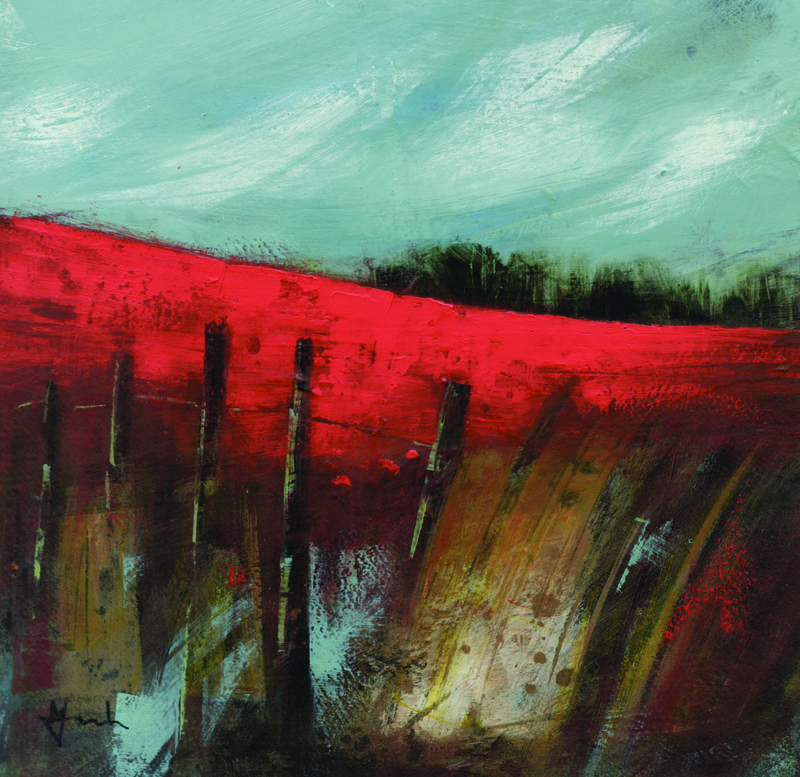 'Track through poppy field', © Mari French 2010, 50x50cm, acrylic/mixed-media on canvas. 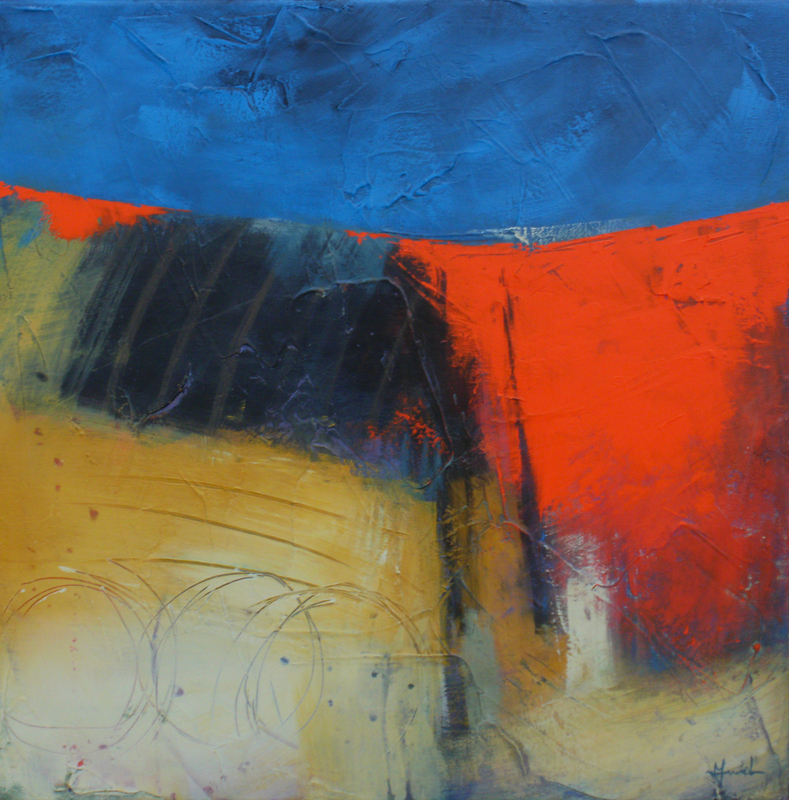 This entry was posted in art and tagged abstract, acrylics, art, artist, farmland, fields, gallery, mixed-media, norfolk, painting, poppies, summer by mari french. Bookmark the permalink. a great jumping off point and food for thought – he’s all about how the old system of gatekeepers is breaking down via self-publishing, self-representation and so on. Will go and have a look at that book link …. Just had a quick look at that link – seems to be along similar lines to the book i mentioned. I’ll check Chris’s website/advice out more thoroughly, thanks again. Love the blog – hope you had a fab Christmas & New Year – my head is still full of snow and shadows, but I love the saturated sunshine colours here. Will put a link to this blog on my site (I’m assuming you’re keeping the other site going? If not let me know and I’ll update accordingly). Very nice! I dabble a little in art and have never tried abstract work…I like yours. Thanks Evelyn, it took a few years developing it as I’m self-taught. This is my first attempt at blogging by the way.